The Waynesboro Public Library will take a break from its normal operations and become a mini-golf course with play hosted by the Friends of the Library on Sunday. The price to play in the noon to 5 p.m. event is $1 for youth under age 18 and $3 for adults, and includes the chance to win a $25 raffle prize. The Friends will use all proceeds for the benefit of the library. Young and old alike can enjoy an 18-hole mini-golf course on the main floor of the library. In addition to putting through the shelves of books, players will encounter obstacles ranging from library materials to sand traps to pizza boxes. The course starts in the children’s area, doglegs through the young adult room, then on to the adult side, and finally down the stairs as the last stroke ends up on the lower level. Other activities will be set up in the lower level meeting rooms. There will be free face painting, popcorn, and some photo opportunities. Throughout the day, several local mascots will join the event. In addition to the library staff and volunteers who have planned and constructed the course, Waynesboro Golf and Games LLC will be providing equipment. A number of local businesses and organizations will be sponsoring holes, greens and fairways, and their names will be on the green flags, posters and other artwork being prepared for the event. A full list of the sponsors may be found on the library’s Facebook Mini-Golf event page. The support of these businesses and organizations is greatly appreciated. This fundraiser is the second Mini-Golf event for the Friends, a private, non-profit organization founded in 1965 to provide financial support and volunteer efforts on behalf of the library. Funds raised by the Friends throughout the year from membership dues, donations, book sales and special events — such as mini-golf — are used to underwrite adult and children programs as well as to purchase books, materials, equipment and building enhancements. 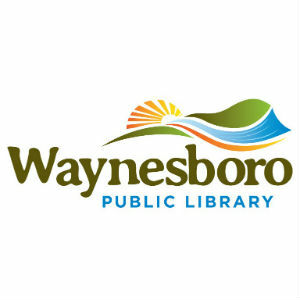 The Waynesboro Public Library is located at 600 S. Wayne Avenue in Waynesboro. For additional information, call 540-942-6746 or visit www.WaynesboroPublicLibrary.org.